Last year was a historic one for PayPal, Pablo Rodriguez’s home base for the past four years. The online payment, or "virtual wallet," company spun off from eBay and began trading on Nasdaq as an independent entity for the first time, just as mobile payments (and the competition) started heating up. 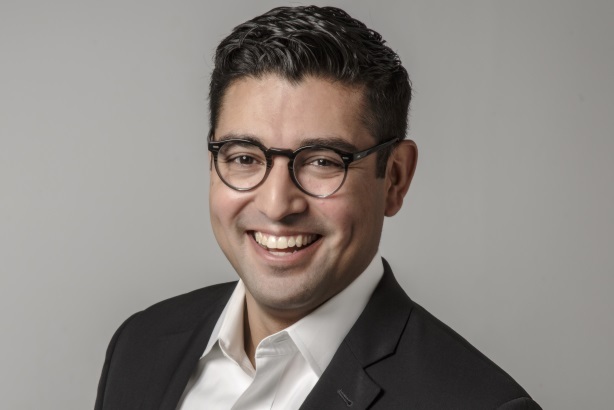 PayPal named Rodriguez as the man to lead communications around its first major marketing foray as a newly independent company: the New Money global brand campaign, which included the company’s first Super Bowl ad. The pressure — investors, a new CEO, employees, customers — was on and Rodriguez delivered, driving positive coverage in The Wall Street Journal, Today, and Super Bowl roundups, including Rolling Stone, Fortune, and more. The integrated campaign resulted in 1,000 placements and more a billion impressions. That’s just one example of how Rodriguez has made himself an indispensable asset to the multibillion-dollar company. Day to day, he oversees a team responsible for strategic planning and execution of PayPal’s global consumer product communications and driving the consumer brand narrative externally for PayPal, Venmo, and Xoom brands, as well as its Powering Giving program, which emphasizes the payment company’s role in charitable giving. As the integrated lead on PayPal’s all-important annual holiday campaign, he flawlessly executed a complex project across several teams and external audiences. The effort helped position PayPal not only as a leader in ecommerce, but also in charitable giving. Teaming up with Guinness World Records, it set the record for the most money raised online for charity in a 24-hour period on #GivingTuesday, with $45.8 million in charitable donations, more than double the previous record. "Pablo has played a critical role in shaping our narrative at PayPal, rising to every challenge during this defining year for our company and our team," says Franz Paasche, VP, corporate affairs. "He is a natural leader and a consummate professional." - The Texas A&M University graduate served as a guest lecturer at his alma mater and mentors students at his hometown high school in San Antonio and staff through Pride@PayPal. - He is an avid runner and tennis player and a member of New York City’s Drama League. - Prior to PayPal, he rose through the ranks of Edelman’s corporate and financial services practice.